On April 15, 2019, the Board went into Executive Session for personnel reasons. On February 28, 2019, the NBSF Board had an emergency meeting. The board went in Executive Session for personnel reasons. On February 18, 2019, the Board went into Executive Session for personnel reasons. 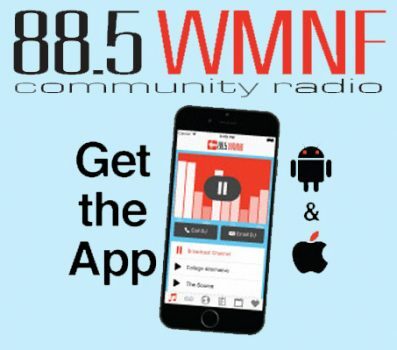 WMNF’s Board of Directors met on January 14, 2019. There was no December Board meeting. On November 19, 2018, the Board went into Executive Session for personnel reasons. On September 17, 2018, the Board went into Executive Session to approve the Executive Session minutes. On August 20, 2018, the Board went into Executive Session for personnel reasons. On July 16, 2018, the Board went into Executive Session to approve Executive Session minutes. On June 18, 2018, the Board went into Executive Session for personnel reasons. On May 21, 2018, the Board went into Executive Session for personnel reasons. On March 19, 2018, the Board went into Executive Session for personnel reasons. On February 19, 2018, the Board went into Executive Session for personnel reasons. On January 8, 2018, the Board went into Executive Session for personnel reasons. On November 27, 2017, the Board went into Executive Session to discuss a personnel issue. On October 16, 2017, the Board went into Executive Session for personnel reasons. On September 18, 2017, the Board went into Executive Sessions for personnel reasons. On August 20, 2017, the Board went into Executive Sessions for personnel reasons. On April 17, 2017, the Board went into executive session for the purpose of approving prior executive session minutes. On March 20, 2017, the Board went into executive session for the purpose of discussing purchase of property or services where premature disclosure would compromise station’s best interests, and to discuss a personnel matter. On February 20th, 2017, the Board went into executive session for the purpose of discussing purchase of property or services where premature disclosure would compromise station’s best interests. On January 9th, 2017, the Board went into executive session for the purpose of discussing litigation or other matters requiring confidential advice of counsel. There is no meeting of the NBSF board in December. On October 17th, 2016, The Nathan B. Stubblefield Board of Directors went into executive (closed) session to approve prior executive session minutes. On September 19th, 2016, The Nathan B. Stubblefield Board of Directors went into executive (closed) session to discuss legal & personnel matters. On August 15th, 2016, The Nathan B. Stubblefield Board of Directors went into executive (closed) session to discuss personnel matters. On July 18th, 2016, The Nathan B. Stubblefield Board of Directors went into executive (closed) session to discuss personnel matters. On June 20th, 2016, The Nathan B. Stubblefield Board of Directors went into executive (closed) session to discuss litigation and other matters requiring confidential advice of counsel.